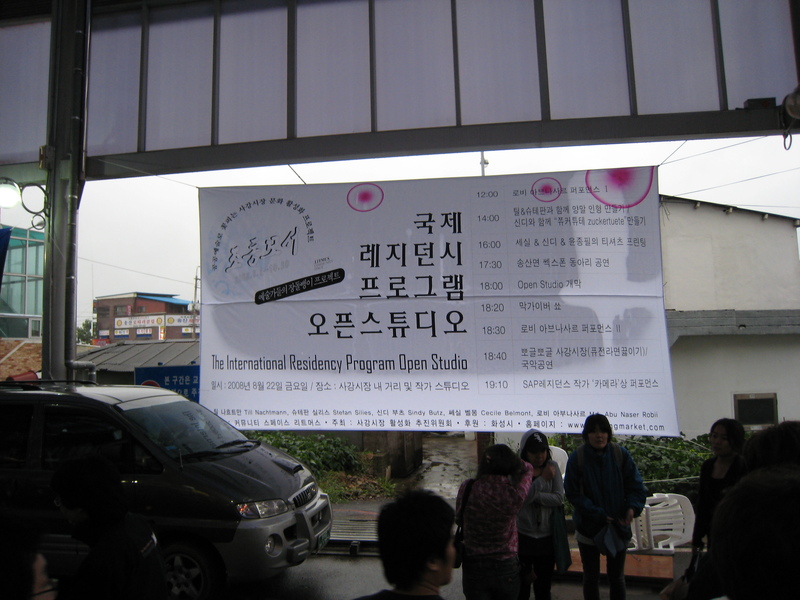 22/08/08 We were invited to visit the open studio day and the conclusion of another market residency at the Hwa Sung Market, about 1 hour south of Anyang. I was told that since the success of Seoksu Art Project, there is a new funding programme in Korea that specifically give fundings to market based projects. 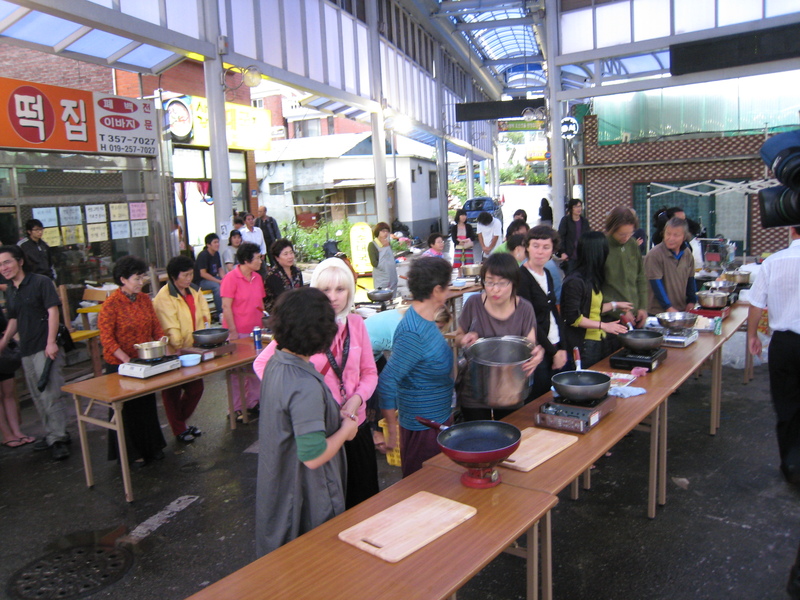 When we arrived, there was a ramen cook-off between the artists and the shop owners in the market. The event was buzzing, the locals turned out in big numbers and brought their preferred ingredients to the table. 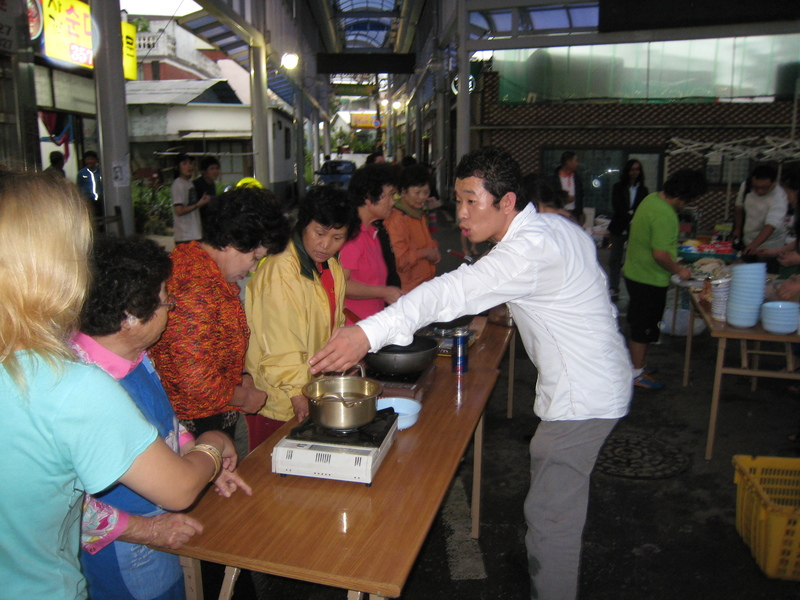 When its all done, the ramen was shared with everyone in the market. I had a pretty deluxe bowl of noodles with ample seafood and mushrooms. After the noodles, Camera again was our man of the night for entertainment. 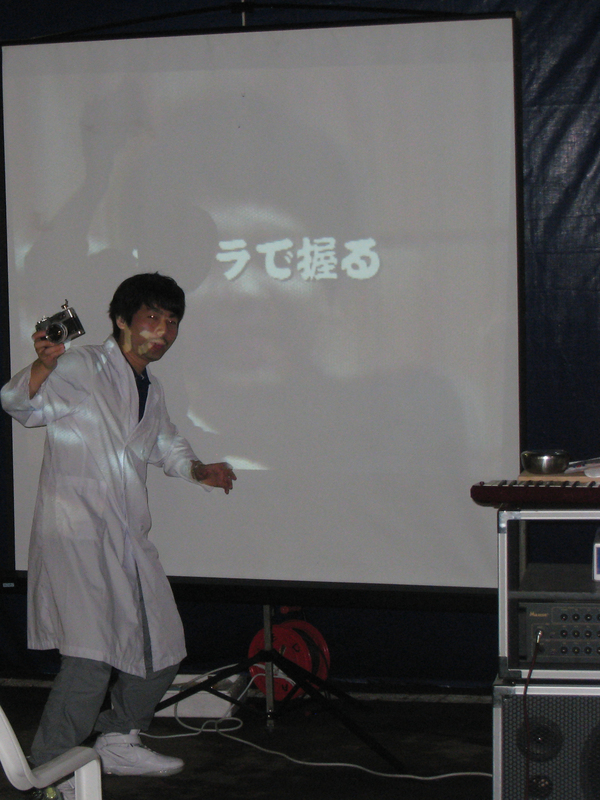 Tonight he showed us how to make sushi using a camera! 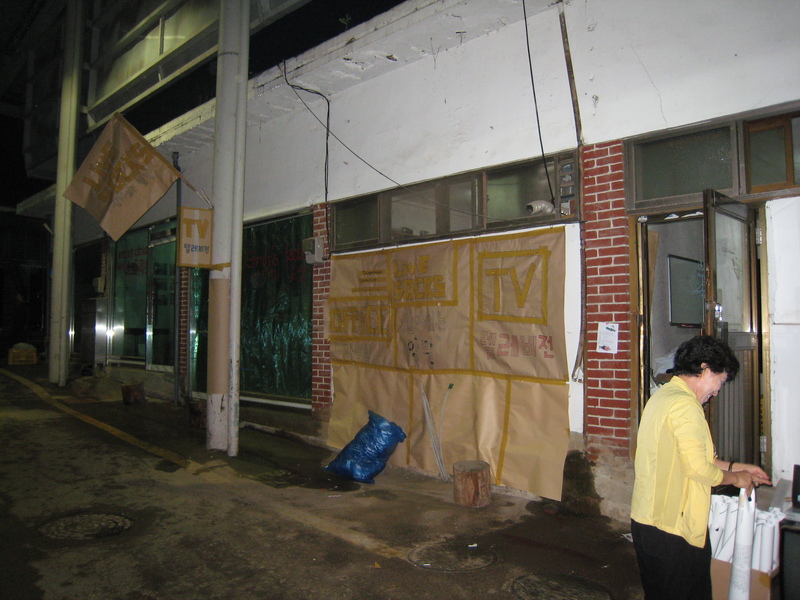 Berlin based French artist Cecile Belmont in front of her studio in Hwa Sung Market. 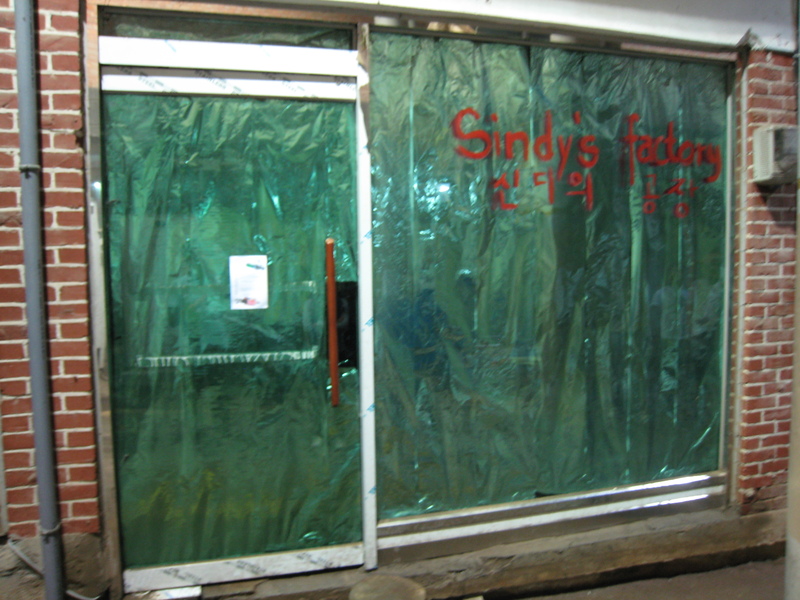 Other studio space and office in Hwa Sung Market.